New Designs in the Shop Every Week! 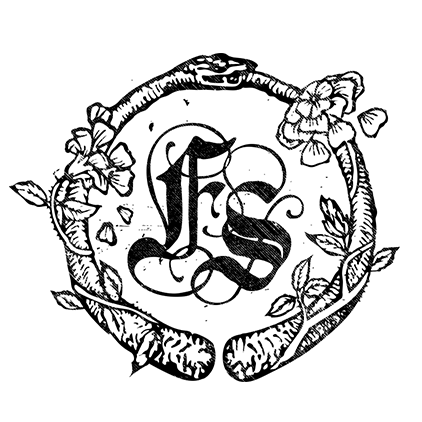 August 16, 2016 by Feral StrumpetLeave a Comment on New Designs in the Shop Every Week! Did you know that there are new designs in the shop every Friday, and you can find them in one place– The What’s New Collection at Feralstrumpet.co.uk before they get snapped up by anyone else! And just to say thanks for clicking over to check out the collection, I’m offering 15% off everything in the What’s New Collection for the rest of August– just use coupon code 8NEW16 at checkout. Just some of the new designs in the What’s New Collection. Over 40 perfect gift ideas to choose from with more designs added regularly! Go to the Perfect Gifts to see what’s new. 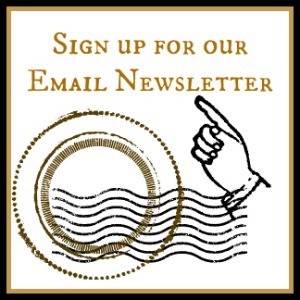 It’s not to late to order for the holidays but the deadlines are fast approaching! Here is a gentle reminder. Me wearing my Slayer Queen Bib Necklace at my booth at the British Science Fiction Convention. 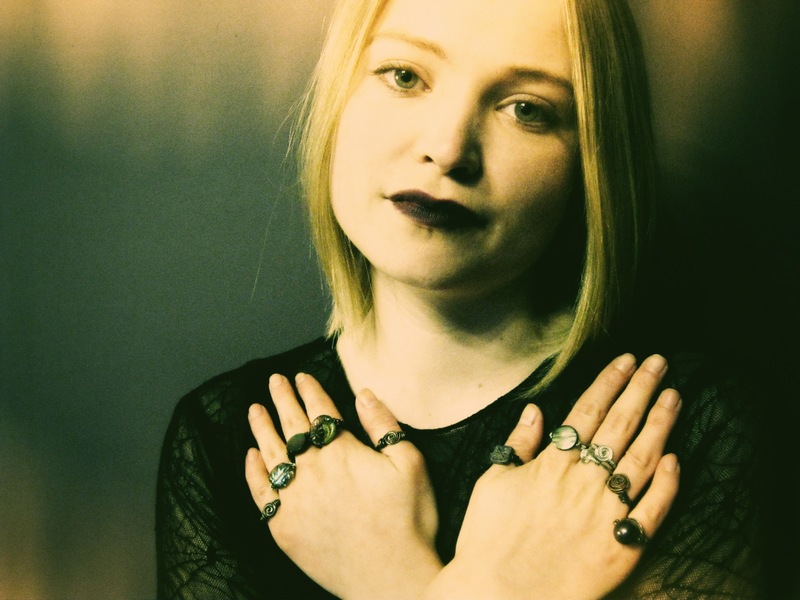 I wear jewellery for sentimental reasons mostly– I have stones I’ve found or been given, talismans of runes, my Thor’s hammer, my Freya/Seidkona. 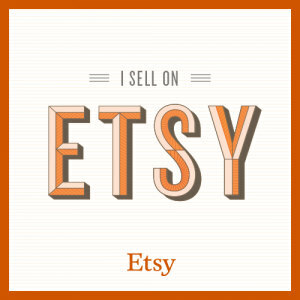 Many of the things I love to wear were made by someone else whose skill I admire and whose creative energy I would like to connect with– I think I’m a lot like my customers in that way. I have a long list of dream pieces I would like to make for myself. Pieces so expensive to make, or so labour intensive, that they would not be practical to offer for sale. I think this summer I will make one or two during a slow period. I make very little for myself and maybe I should make more! I do wear pieces I’ve made. Sometimes for whatever reason an absolutely gorgeous piece doesn’t sell and I feel justified then in keeping it for myself. Luckily my litmus test for selling something is– would I love to wear this? Am I dying to keep it? If the answer is yes, I offer it in my shop. What am I wearing right now? Well, I’ll tell you. Boudicca Glasses Chain–This is probably the most practical thing I have ever made, next to my pennanular brooches. I use this every day. I have two– one for my reading glasses and one for my regular glasses, which I need to take off when doing detail work. When it is sunny (that’s rare in Yorkshire) I also have one for my sunglasses. Kitchen Witch’s Pentagram Ring–I made an initial prototype in the raku glaze which I ended up keeping for myself. Often I will wear a prototype to test out it’s mettle first before making more or offering it as a made to order piece. Many of these become fast friends and others go to the scrap heap, ready to become something else. This was a keeper! Myriad Lozenge Rings— I love making rings with lozenge shaped beads, the prongs at the side framing and binding the stone. It has become a signature design and I have made countless rings for lovely people all over the world. In one of my favourite books, A Mirror for Witches by Esther Forbes, Goodie Goochie, the androgynous preparer of the dead, wearings an iron ring on every finger to protect them from malignant spirits. My rings are mostly copper and silver but I can relate. I started making my own rings because I could never find rings small enough for my fingers, at least ones I really liked. My favourites are my amethyst, labradorite and web jasper rings. 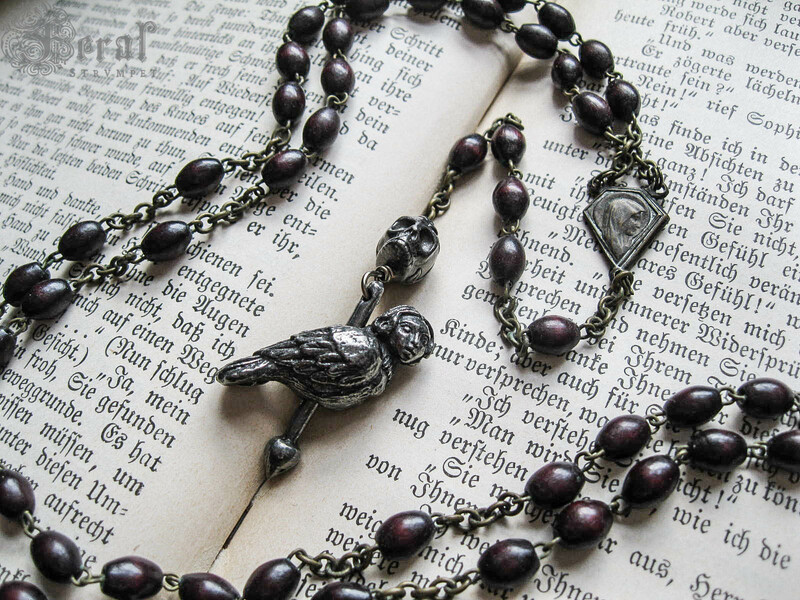 Harpy Rosary Necklace–Here was a little orphan. This beautiful necklace never found a home. It is perfection– from its mid century wooden rosary with a slightly reddish tint to the wood, to the little harpy girl that moves up and down on her post like a magical merry-go-round creature. Maybe I loved it so much that I secretly wished to keep it, because now it’s mine and I wear it all the time! 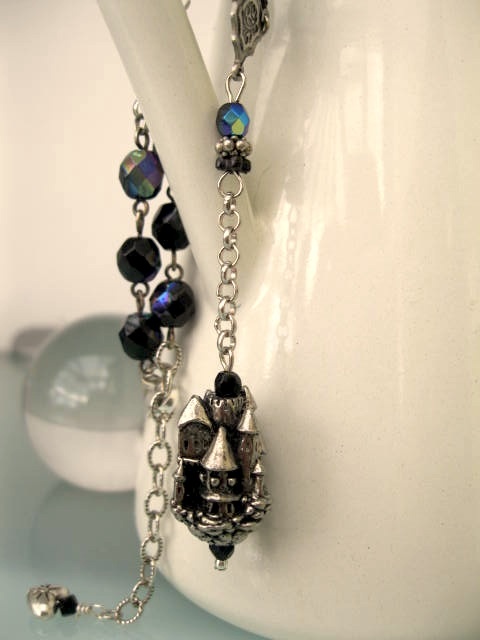 Floating Castle Rosary Necklace–I have made many of these but again, there was one I paired with a gorgeous 1960s jet and AB finish glass bead rosary. I think it was waiting for me. Here you can see one of my early photographs– when I was just starting out and hadn’t learned how to light and edit tiny pieces! 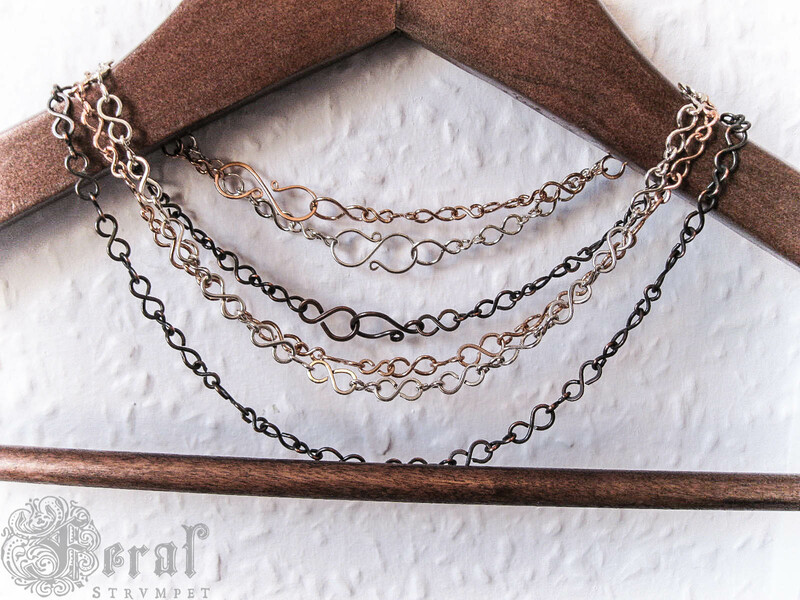 Infinity Chains– These beautifully graceful chains are hella labour-intensive. I have made them in sterling, brass and copper. They look beautiful worn together, mixing the metals. Because it takes so long to make these I no longer offer them just as plain chains. Instead I will combine them with crystals, stones and beads to create one of a kind, luxurious pieces. The plain chains I saved for myself. I like to wear the clasp in front, sometimes attaching a talisman or charm to one lobe of the S clasp. Sheila-na-Gig Brooch– Another mysterious sleeper. I wear my larger Sheila brooch with my hand knits. My other simple brooches are my most popular design. 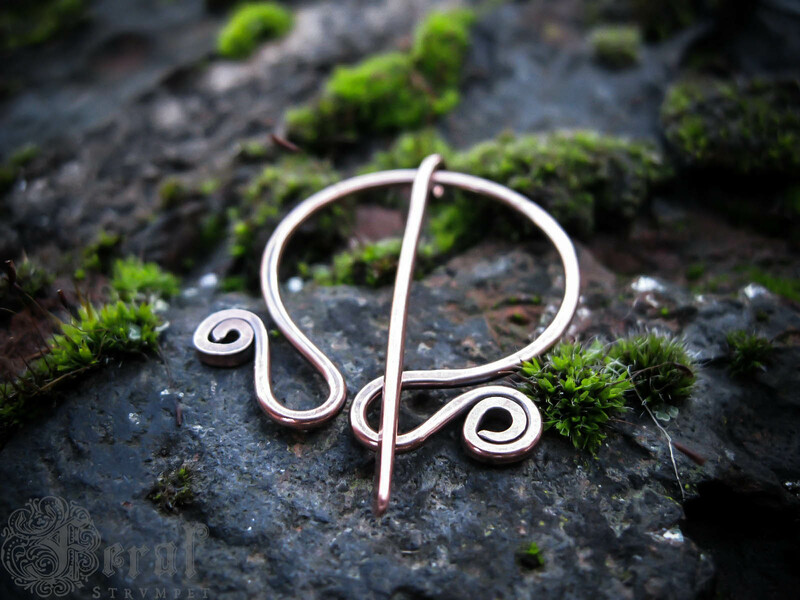 While these brooches are more delicate, I love their graceful curves and the fact that the curl on the ends of the circle keeps the pin on the clasp. I haven’t given up on this design! I am making more prototypes to offer them again in the future. Mega Slayer Bib Necklace– I feel like this post has turned into the Feral Island of Lost Toys! I hope it offers some insight into my process. This slayer bib necklace was another orphan. I loved it insanely– but no one but me seemed to want to wear it! 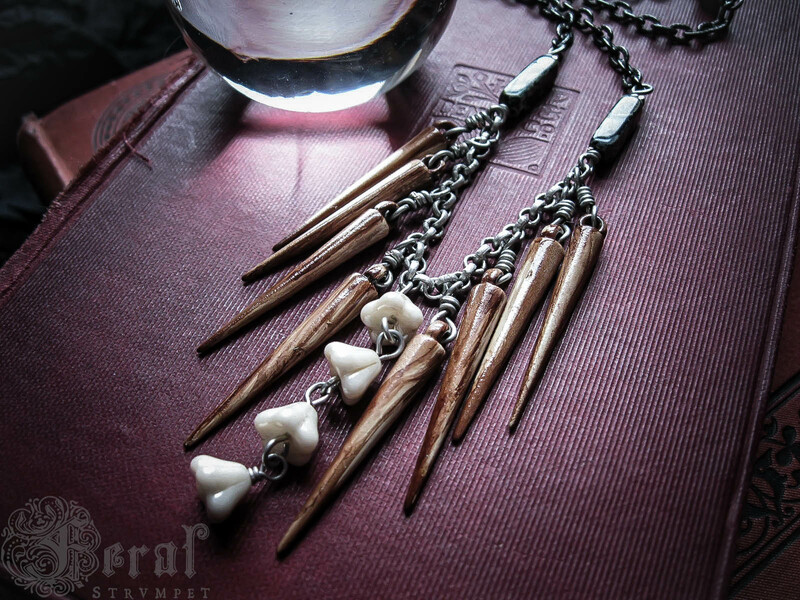 My single stake necklaces continued to be best sellers but this OTT version was clearly waiting for me. 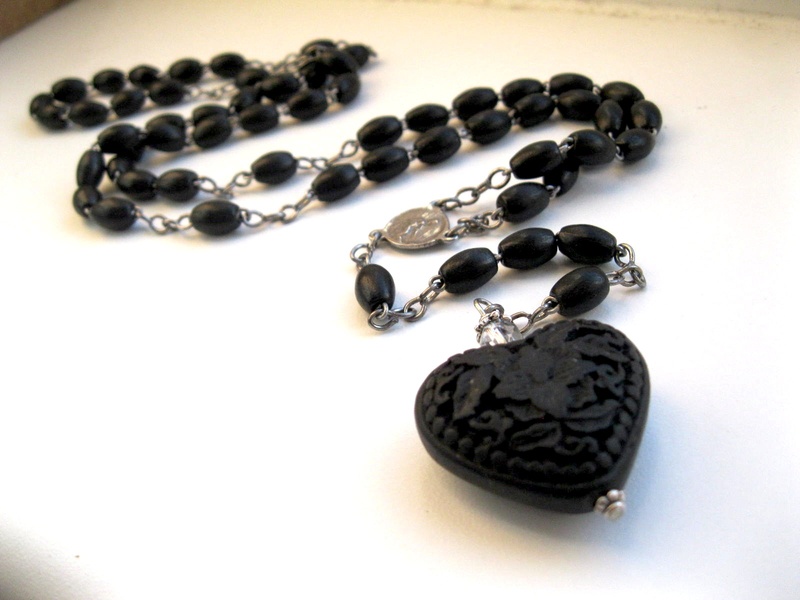 Black Hearted Love– This is my signature necklace, the one that started it all. I was making these before I even started my Etsy shop, almost 4 years ago. I had a red cinnabar one paired with a red bakelite chaplet and a black one paired with a 19th century bog-wood rosary. I wore them all the time and one day I was sitting in my local medieval drinking hall whinging that I couldn’t find a job, and my friend Emma said why don’t you sell the necklaces you make? The rest is history. 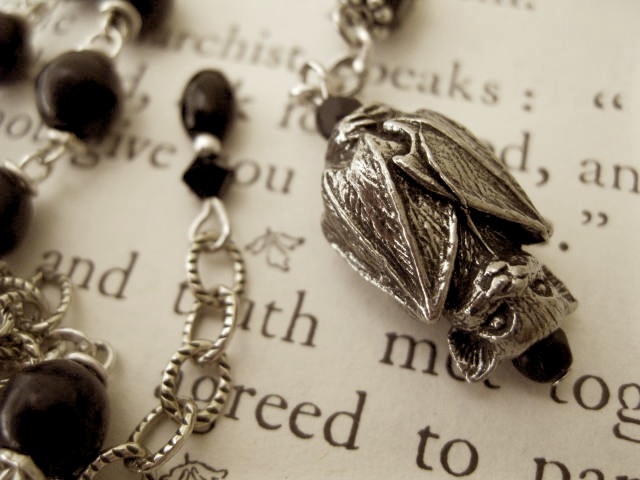 Baby Bat Necklace– Another of my best sellers– possibly my first best seller, the one that really took off. I love layering mine with other longer pieces. The little fellow is so small, and such good company. Selfie of me wearing Illamasqua’s Pristine lippy. So being a witch is in– even Urban Outfitters is getting in on the haute occult game, selling crystals and divination tools, usually the wares of the local, independent pagan or New Age shop. This look is a simple resurrection, Stevie Nicks, but paired way down: 1970s Victoriana dresses in black, layers of jagged hemmed garments worn in an undefinited sihouette. If you look like you just stepped out of your chicken-footed cottage, you’ve got it right. It’s all the rage. But what if the rage is you, and has always been? How do you ride the tide of fickle fashion when the High Street is cashing in on what you love? I say, keep doing it, and do it like you mean it. 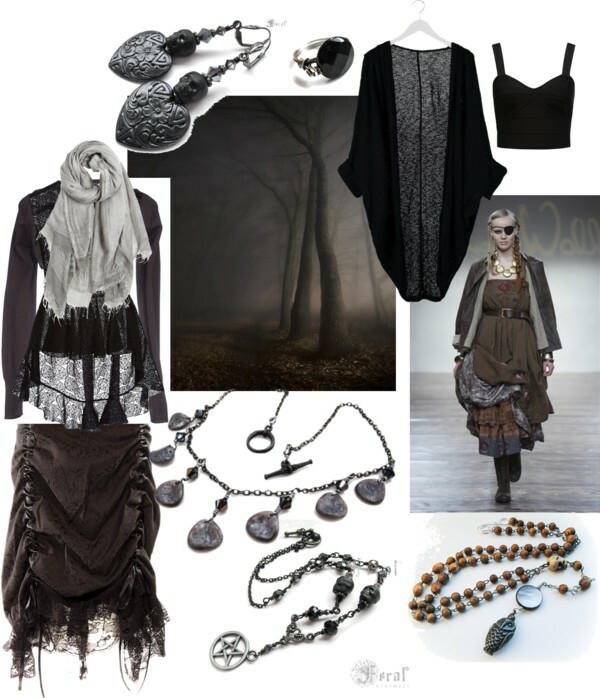 A Polyvore Set featuring Feral Strumpet designs. The upside of all this is now that these trends have names–Dark Mori, Nu Goth, etc., I’m able to find my style sisters–like-minded souls on Instagram and Pinterest, mutual style inspirations and co-cacklers. Here are some witchy discoveries– recent and not-so-recent- that I’ve found whist searching the web for fellow darklings. 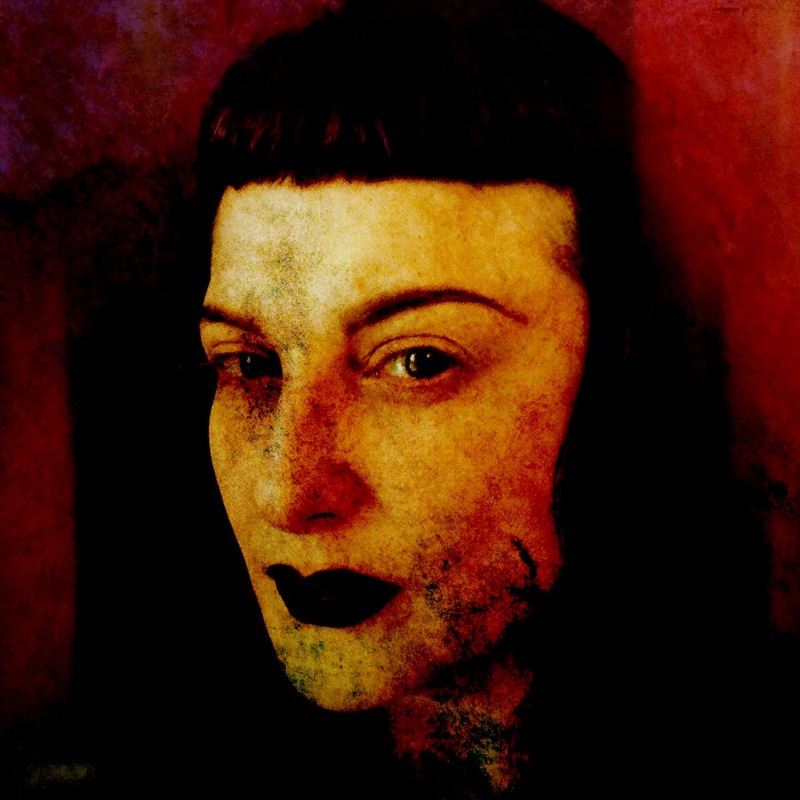 The Wild Unknown Tarot- She dresses like a witch, walks like a witch and even talks like a witch, but can she divine the signs? Herein we separate the crones from the drones. The Wild Unknown Tarot is new to me, and the imagery resonates profoundly. Though I first learned the craft through Tarot, I often felt scolded by my Rider Wait training deck, and when I switched to the Golden Tarot, the feeling didn’t change. I came to reading Runes years later. They speak to me with more immediacy and appear as allies rather than ominous harbingers, as the Tarot often did. Still, when I saw this deck it rekindled my fondness for Tarot, simplifying the meanings and rooting them in the earth and nature. Black Lippy in Pristine by Illamasqua. Part of this trend is black lipstick, and though I have been a non-orthodox sort of goth most of my life I have shied away from this make up staple because I couldn’t find a black lippy with enough coverage and mixing my own out of eyeliner, eyeshadow and chapstick was unpleasant. So one of the benefits of this mainstreaming is that almost everyone is coming out with a black lippy formula. I have tried many and so far Illamasqua’s Pristine is my favourite. I do love this make up brand for its original formulas, many of which are supremely wearable and natural looking despite many of the OTT Instagram make up posts using this brand. I do love that they often use older women in their ad campaigns and a variety of face shapes and types of beauty. They are cruelty free as well. A England Polish in Fotheringhay Castle. This is my newest obsession, this lichen-green polish with a mysterious scattered holo. I do love this brand, founded by designer Adina Bodana. Her collections are inspired by English history, paintings and lore. This particular colour is part of her new Elizabeth and Mary collection and is named for the final place of imprisonment of Mary, Queen of Scots, who was tried and executed in the castle. I love all the movement and depths in her polishes, but this colour is particularly magical. Once I was at the 18th century folly based on Stonehenge which is called the Druid’s Circle. Moss and bracken have taken over the site giving it an ancient feel. The site itself has a fascinating if somewhat disturbing history which I’ll save for another post. But one day during a late summer visit I found deep in the shadows of stone some biolumensecent lichen– green glowing sequins worthy of an Arthur Machen story. I have researched to find out what kind of life form I had seen, to no avail. It was indeed something from the Twilight realm of the fey. This polish is exactly the same colour. Swirl Clothing- Ok, I didn’t discover this company recently, but I have to give a shout out to my homegirl Sal and her clothing company. 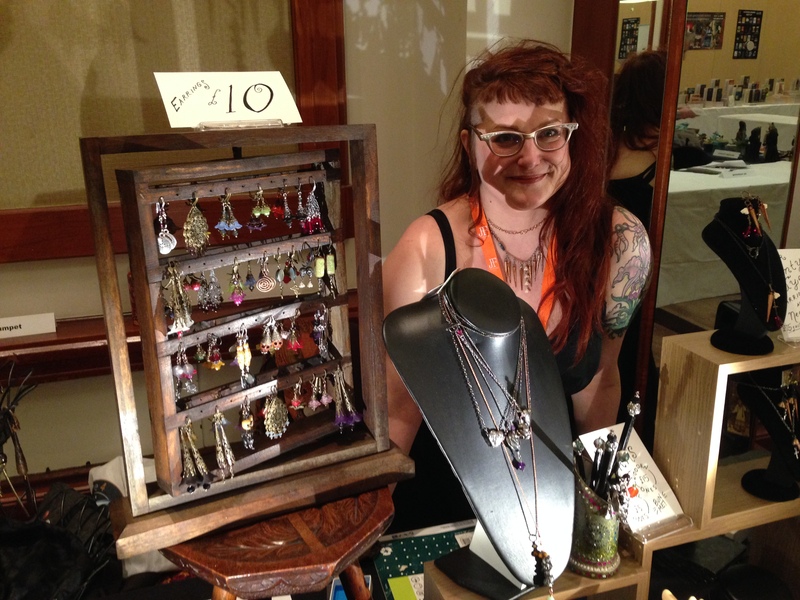 She designs witch dresses in all sizes, including plus sizes. The simple shapes are perfect foundation pieces for a layered dark mori look, or a minimalist Nu Goth shape when paired with one of my rosary necklaces and perhaps a wide-brimmed hat. Sal has a brick and mortar shop in York as well as an online shop. I wear her dresses almost every day. How we adorn ourselves is our most immediate form of self-expression– it can be the most intimate descriptor we have of ourselves. When fashion takes these shapes and ideas and sells them back to us, we have to keep playing and keeping things true to our own identities while supporting other independent, pagan, heathen and witch-friendly businesses. What, if anything, in this current trend is inspiring you? What gems have you found? Take and additional 15% off my already discounted pieces in the Sample Sale section of my new online shop with coupon code BOXINGDAY14. Good now and for the month of January. 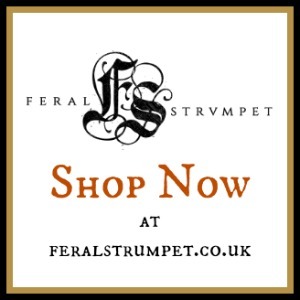 Only at Feralstrumpet.net.